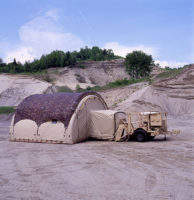 MMIC is a leading designer and manufacturer of fully integrated shelter systems for the global marketplace. 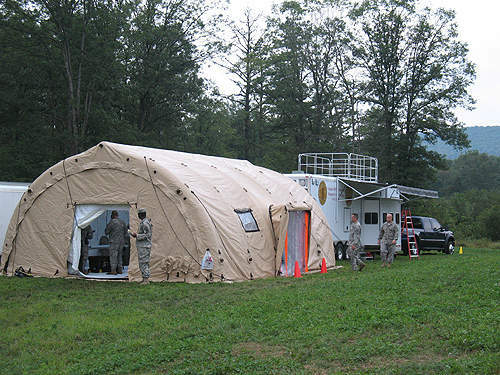 MMIC’s family of deployable shelter systems have been US military standards and nuclear, biological and chemical protection-tested and approved. By offering a system solution with all primary operating systems integrated into the transport platform, mission readiness time is greatly decreased thus allowing for critical operations to begin immediately upon arrival. MMIC offers a variety of integrated solution sets for medical, collective protection, command and control, and general purpose missions. The unique, modular design of MMIC’s shelters allow for full integration of power generation, environmental controls, LED lighting and integral air beam soft-wall shelters within ISO shelters; TRICONs; light tactical trailers, all-terrain trailers, and commercial trailers. 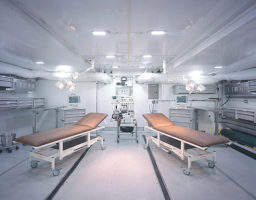 MMIC’s US Healthcare Code compliant ISO-based mobile operating room and patient wards provide all critical operating systems equivalent to a fixed hospital environment. 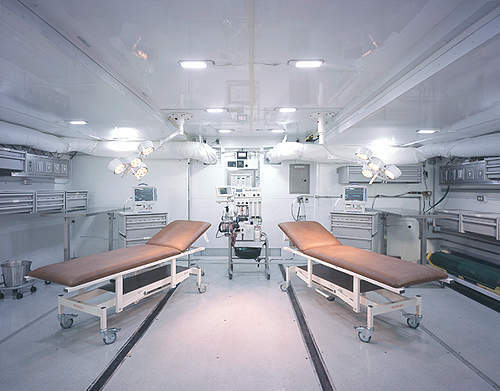 Uniquely complexable, MMIC’s mobile hospital is manufactured with on board power, environmental controls, HEPA filtration, NBC protection, integrated hospital-grade LED lighting, modular cabinetry and humidity control. The basic building blocks for the mobile hospital utilize the Mobile Surgery Unit II™ and the Universal Support System™. Readily reconfigurable to meet intensive care, laboratory / pharmacy, general recovery and staff quarter needs. 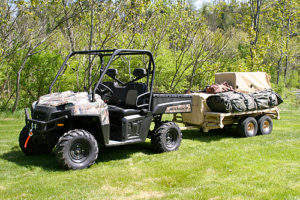 The utilization of advanced technology air beam soft-wall shelters allows for rapid deployment with minimal manpower. MMIC’s mobile command and control shelter system offers the highest quality, fully integrated National Incident Management System (NIMS) compliant Mobile Emergency Operations Command available. The six-station command post is configured in a 30 foot gooseneck trailer with an integrated 600 square foot air beam shelter that deploys directly off the rear ramp for an immediate large briefing area. MMIC’s general purpose shelter systems are integrated solutions configured on Light Tactical Trailers (Mobile Single Pallet Unit™) and All Terrain Trailers (Expeditionary Shelter System) that are highly mobile solutions towable by HMMWV or 4-wheel vehicles. 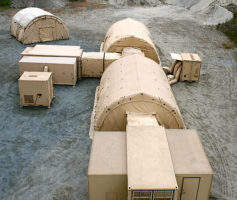 Designed to operate individually or connected together to form a larger far forward battalion aide station, command post or general living quarters. All of MMIC’s shelter systems have been U.S. Military Standards tested and approved for durability, transportability and collective protection. By integrating the prime operating systems in the transport platform, we have significantly decreased logistical requirements as our system solutions are essentially are one piece. MMIC, located in St. Johnsbury Vermont, is ISO9001:2008 certified which attests to our commitment to full customer satisfaction. MMIC’s turnkey solutions have been designed with the US military and are being used around the world to support today’s warfighter.